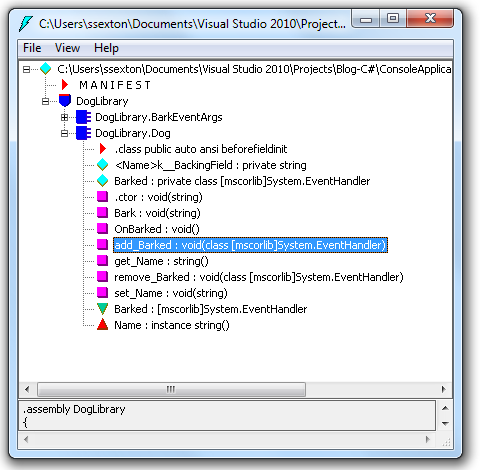 When you use the event keyword to define an event, the compiler automatically creates a private backing variable that is a delegate instance, as well as code that encapsulates adding and removing methods to the delegate’s invocation list. You can also explicitly declare the backing variable and the add/remove accessors. The following code results in equivalent behavior to the code shown above. To the client code, this looks the same–we just have a Barked event. But you could now add some custom code, e.g. logging.